School is back in and some of my kids have lunch not all to much after breakfast, lunch for some of them is at 10am! Which for me, that's when I want my breakfast. That being said my kids come home hungry and lucky for them I always have a assortment of Hillshire Farm's Natural Lunchmeat. My kids enjoy them all, my husband packs a lunch often so having Hillshire Farm's Naturals makes my life a whole lot easier. He would normally take lunch and eat at a fast food place but now that he eats the Hillshire Farm's Naturals, he is losing weight and feeling great. 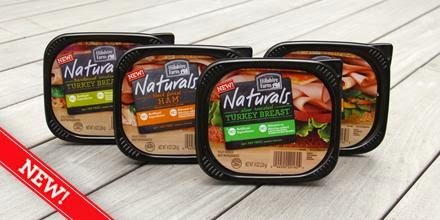 You can purchase Hillshire Farm's Naturals in all grocery stores and major retails. Click here to learn more about Hillshire Farm's products.